Search engine optimization is at the heart of every effective digital marketing strategy. Having a great site, service and/or product serves little purpose if your target audience can’t find you easily! The entire SEO process is made infinitely easier with Majestic; keep track of your competitors web ranking (and see what you need to do to outrank them), with a Majestic dashboard. Create your Majestic dashboard today! This list widget shows the anchor texts (clickable hyperlink text) used to link back to your website from other sites. This historic widget shows the number of backlinks your site has (aka. links on other websites that refer back to your own). 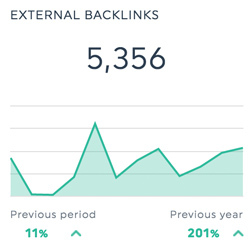 This historic widget shows the total number of different domains on which your external backlinks are found. Want to see all our Majestic preset widgets? 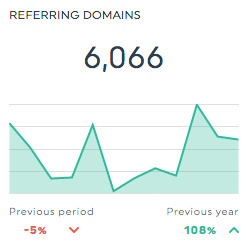 This is the total number of links on other websites that refer back to your own. This dimension allows you to isolate data based on the anchor text. This dimension allows you to isolate data based on your backlinks’ URLs. This dimension allows you to isolate data based on the name of the domains on which your website’s backlinks are found. Want to see all our Majestic metrics, segments & dimensions? How do I create a dashboard report for MajesticSEO?